When it comes to gambling, there is a lot of action just waiting for players to come and win big. This is usually the best time of the year to enjoy some of this action since the summer doesn’t just come with warm weather, but also with some amazing opportunities. Let’s take a look at what gamblers can do to have fun and claim some nice prizes. While poker is not really a gambling game and it mostly relies on skill, luck does play a big at the tables. 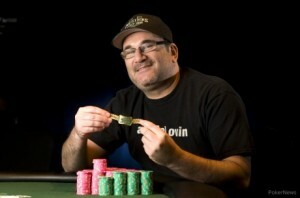 The 2013 WSOP started a couple of weeks ago and will continue throughout the summer, giving players a great opportunity to put their skills to the test against some of the top pros in the industry. The World Series Of Poker is the most prestigious annual event and every player wants to get their hands on at least one bracelet this summer. There are events for just about every variation of the game and they all take place at the Rio Hotel and Casino, in Las Vegas. The series will end with the Main Event, which has the potential to turn the winner into a poker legend overnight; not to mention the millions of dollars up for grabs. Of course, taking part in the Main Event is not cheap, but skilled players don’t need to worry about that. Online poker rooms are running regular satellites to the WSOP Main Event so that players can win their ticket, and the hotel accommodations, while playing from home. Moneymaker managed to qualify to the Main Event from online poker and went on to win the whole thing; others then followed in his footsteps. When it comes to sports betting, there aren’t many games that beat the NBA Finals. This year, the Miami Heat is going up against the San Antonio Spurs in a best-of-seven series that will determine who will take home the trophy. The first two games have already concluded and the Spurs have managed to meet their goal, to take one game in Miami. Now the action will move to Texas, where the Heat will no longer have the home court advantage. The spurs made it to the finals after defeating the Memphis Grizzlies 4-0. NBA betting the Grizzlies placed the team as underdogs for the game against Oklahoma City Thunder, but they managed to win the series 4-1. In the other conference, the Miami Heat had a much harder time in the finals against the Indiana Pacers who forced a Game 7. Now, the two teams in the NBA Finals look incredibly even and it will most likely be one of the best series ever. Online sportsbooks are offering some very attractive lines for each game and also for the entire series. Since we are talking about gambling, we can’t overlook online casino games. Slots Of Fortune is getting a lot of attention recently as players are cashing in big jackpots every day. There certainly are plenty of casino games to choose from here and to make things even better, Slots Of Fortune is offering a 300% slots bonus, up to $3,000. Users that want to play a combination of slots and table games can just as easily get the welcome bonus of 200%, up to $2,000. Try Slots Of Fortune today and also get a 100% cashback bonus, up to $777. While slots are clearly the predominant category, there are also quite a few table games to enjoy and other great casino games. All the titles are provided by Rival Gaming.